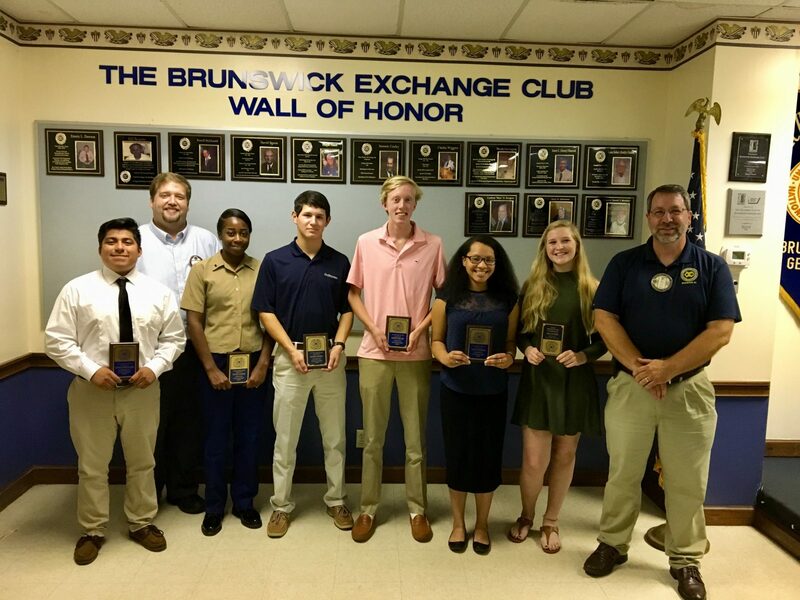 The Exchange club of Brunswick held their Student of the Month program recently. Students from Glynn Academy and Brunswick High School are chosen by their teachers and counselors. This program was for the months of August, September and October. Each student received a plaque and a check for $100.00. 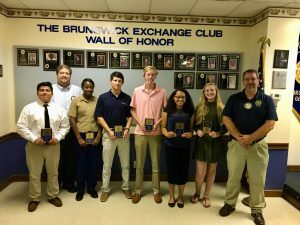 The students are encouraged to participate in the year end Student of the Year essay contest, which one student from each school will receive a $1,000.00 scholarship from the Exchange club of Brunswick. Copyright © 2019 Georgia District Exchange Clubs.